as a girl about town and a girl about culture and finer things, i’m naturally inclined to gravitate toward any establishment that actively promotes the finer things in life. forward foods in oklahoma city is absolutely on board. my home store, located at the north end of western avenue, is situated just so that i can swing by on my way home from work. or, when the weather permits, i can trek the few blocks to my favourite nook filled with homemade pasta, local spoils, and imported cheeses and other highbrow treats. there’s a patio and bright blue entryway that frames the somewhat timid entrance. after crossing the threshold, you’ll need to take a minute to bask in the sheer elegance of design and attention to detail that the store, as a whole, possesses. full of clean lines and favorable, high-end touches, the shelves stocked with luxurious fare reach out to you. the staff are always equipped with smiles and recommendations, which is something that you must take them up on if it’s your first time in. the cheese case alone is enough to overwhelm the sturdiest of grocery shoppers. frequently when i arrive i’m met with a “are you here for more cheese.” usually i am. but even when i’m not it’s nice to be acknowledged and know that this little haven of eatables has a personal investment in me. this lovely space is not just a supplier of all things imported and local, but it’s also a classroom for those who are adventuring into the world of fine food and drink. recently i had the pleasure of attending a cheese class taught by bailey. you can sign up for classes in your local store. it’s $35 for a seat (there are only 22), and it’s worth every penny. the particular class i took was geared toward expanding the cheese palette. 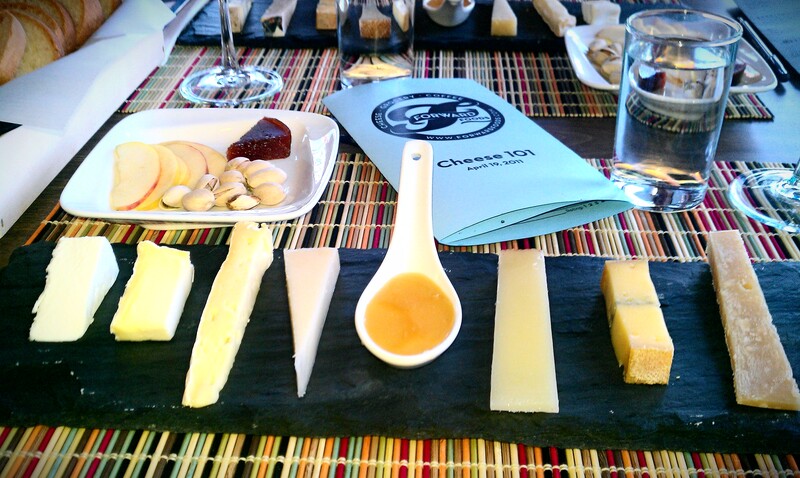 we began with smooth, mild cheeses and finished with pungent, hard-hitting cheeses. the class provided wine and pairings to enhance the already scrumptious experience. 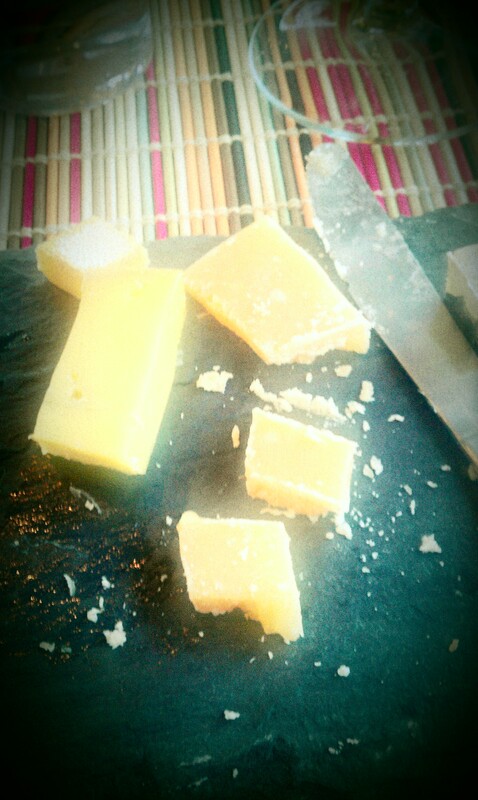 my personal favourite, much to my surprise, was an almost chalky gouda. you can see from the picture that the texture is rather course and crumbly. it’s very breakable and was divine with the honey and red wine it was paired with. i was also quite in love with all the smooth, spreadable cheeses. those are the ones i’m familiar with, generally. only recently have i began to expand into aged manchengo and smoked gouda. the smoother cheeses are still good bases for pasta salads or great as an agent to hold together vegetables instead of a dressing. 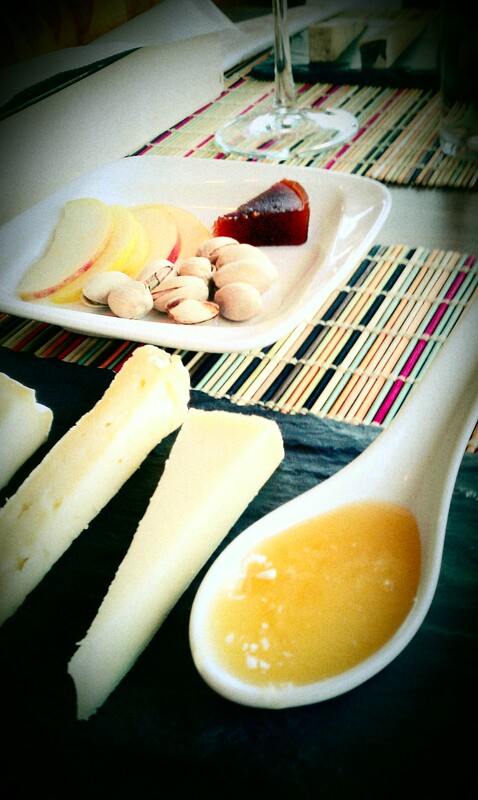 also, if you’re serious about your cheese tasting, a necessary item that i’ve been introduced to is quince paste. you’ll see it above in the wedge aside the apples and pistachios. it’s traditionally french and very much resembles a fruit jam of sorts. it’s breathtaking with almost any cheese. i highly advocate adding a level to your taste experience (as well as your snobbery) by purchasing some. you can find it in the back corner on the right at the western location. it’s back with the local and fancy-pants jams and spreads. while you’re back in the corner, you may as well pick up some local honey to further tantalise your palette. 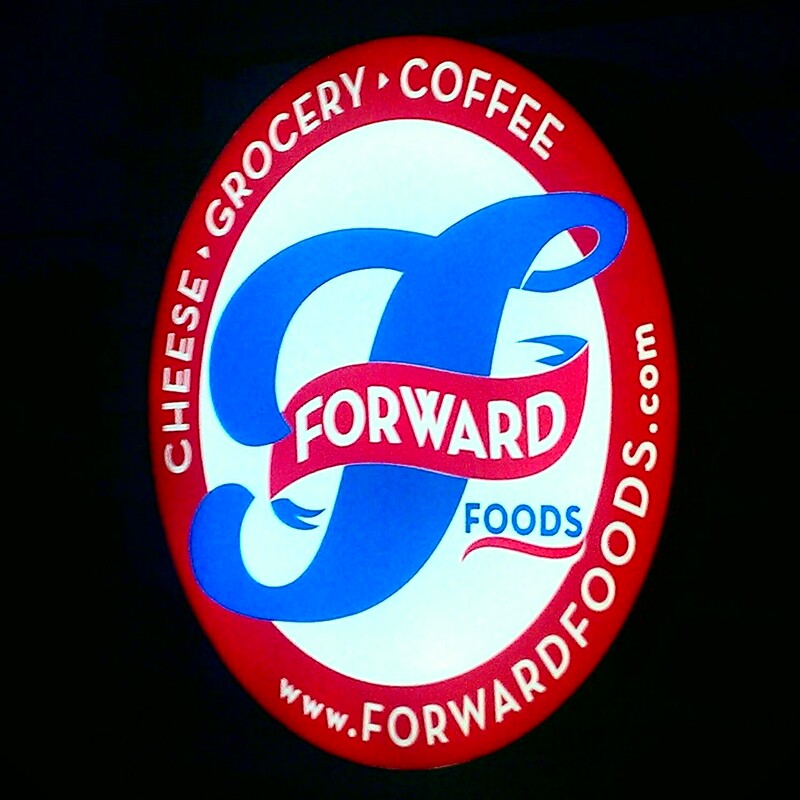 i really can’t say enough about how much forward foods dandies up my life.